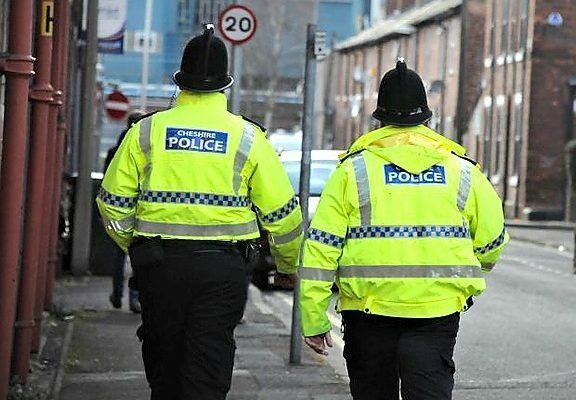 As the three men, wanted in connection with disorder at a football match in Macclesfield have been identified, Cheshire Police have requested us to take down the CCTV images of the men. The incident occurred in the 96th minute of the Macclesfield Town versus Crewe Alexandra derby game at the Moss Road ground on Saturday 9 February. It saw a number of football fans invade the pitch. Enquiries in relation to the incident have been ongoing for a number of months and officers have now released three images of men they would like to speak to as part of the investigation. Police Constable Samantha Roberts said: “This incident took place during a derby game with thousands of fans in attendance who may be able to assist with our enquiries. I am particularly keen to speak to the three men in the CCTV images. “If you think you recognise the men in the images, or that you may know who they are, please contact the team here at Macclesfield Local Policing Unit on 101, quoting IML 317118.